If you were to make list of things you really never want to lose, or have stolen, your credit cards would probably come in rather high on the list, probably somewhere between your car and your wedding ring. A lost or stolen credit card can mean weeks, months, even years of headaches, even though these days the law prevents you being held liable for more than $50 in unauthorized charges, as long as the card is reported missing in a timely manner. If you are like most people you always keep your credit cards in the same spots in your wallet and put them right back where they came from as soon as you have used them. If you have your wallet stolen, or manage to lose it, the fact that your credit cards are gone is immediately apparent and you will of courses leap into action trig away, calling your credit card issuer to report the mono disaster right away, minimizing the damage a thief can do. 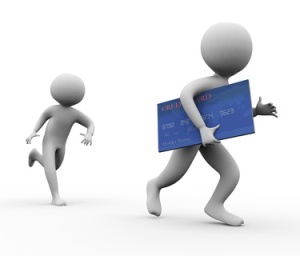 However the fact that your credit card is missing is not always so easily noticed. For example; you head to the store on your lunch hour, to pick up a few essentials. As you are in a bit of a rush you accidentally leave your credit card behind on the counter and scurry off back to work without realizing what you have done. In an ideal world you would be able to place a simple call to the store as soon as you realize your card is gone and you would be told that it is waiting for you, unmolested, right at the register where you left it. This is not however an ideal world and while that is often the case there are plenty of easily tempted people who would not be so honest. Even in this situation the best course of action is to report your card as lost and begin the process to get a new one. Although no one ever wants to think that their credit card will be lost or stolen it never hurts to be prepared. Make sure you know the numbers to call to report your credit cards missing ahead of time, so that the reporting process is that bit faster should the worst occur and your credit cards go missing. Even after you have called and reported your credit card missing it still helps if you follow up that call with a letter that summarizes the situation and the conversation you had. This may prove especially useful if you end up having to dispute entries on your credit record, so send it certified and keep a copy for yourself. Thanks to the Fair Credit Billing Act you cannot be charged for more than $50 in unauthorized charges that are made to your credit card if you report it lost or stolen. However, the difficulty is that these transactions still technically exist and may very well end up on your credit report. So if an opportunistic thief went on a shopping spree before your card was suspended and exceeded your credit limit that may still appear. Therefore it is important you get a copy of all three of your major credit bureau reports a short time after the loss and examine it for any charges you did not make and then contact the credit bureau right away to dispute them. You should then continue to monitor your credit report for a few months, to make sure that the charges have been removed as requested. Many consumers have discovered to their dismay that it takes more than just one phone call or one letter to get all three of the credit bureaus to remove the fraudulent entries on their credit reports. If you have more than one credit card only carry one at a time. Leave the others at home in a safe place, preferably with all the rest of your important papers and documents. Be very careful about who you lend your credit card to. A great many of the credit card thefts and fraudulent credit card charges reported every year are committed by someone the victim knew. Never carry your credit cards in your pocket, they could fall out at any time and you will have no way of even beginning to know where you might have dropped them. Never store your PIN number for ATM use/cash advances in your wallet. And never use your birth date as your PIN number. That may be easiest for you to remember but if a thief has your wallet – and your ID – those are going to be the first numbers they try in their attempt to get access to money from your credit card account. Take care of your debit cards too. There are similar protections in place for the unauthorized use of a debit card as there are or credit cards but it can take weeks, even months, before a bank completes its investigations and puts any stolen cash back into your bank account.